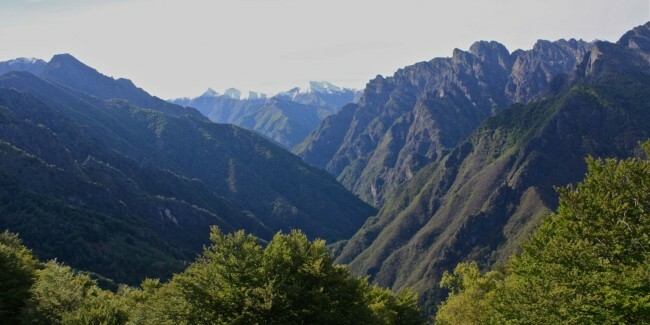 Description: by the “Vigezzina” train you reach the station of Malesco where you continue by a local bus to the village of Finero, situated between the Vigezzo and the Canobina Valley. 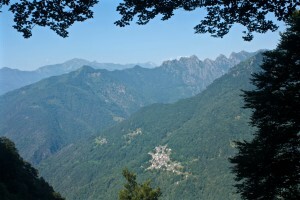 The trekking begins from the old village of Provola and goes up along the torrent “Il Fiume” among a shady beech-wood. 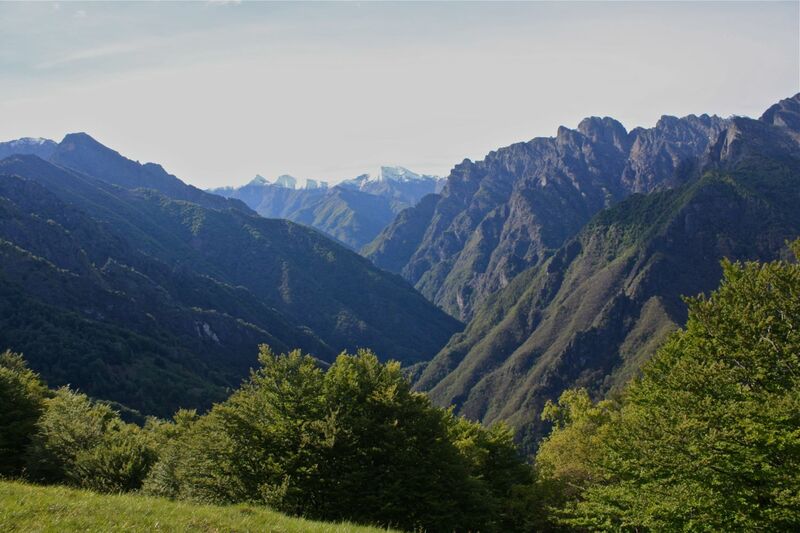 After one and a half-hour walk you ascend the steep slope up to the panoramic pass Bocchetta di Terza from where you can have a spectacular view over the mountains and the valleys of the area of the Park. 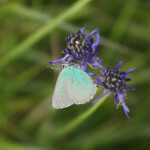 If you are lucky, you will see chamois and birds of prey. After a short stop to eat your prepared packed lunch, the path goes down the grass-slope till the alp “Alpe Terza” and continues through a thick beech-wood to the destination site: the alp “Alpe Pian di Boit”. Dinner and overnight at the hut of the Valgrande Cooperative at the Alpe Pian di Boit. The hut for the hikers is a bivouak and has a simple sleeping room with mattresses put on a wooden floor and a big kitchen/dining room with a fireplace. No toilets in the hut. 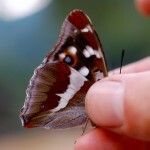 A good sense of adaptation and of collaboration is required. The dinner will be cooked together with a vegetarian menu based on organic food. The sources of energy used during the stay are mainly renewable ones. In fact the hut is heated by a wood-stove and has a solar panel for the small amount of energetic supply. 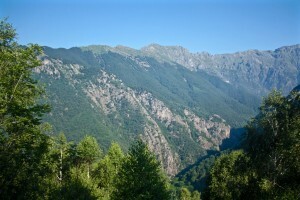 Description: after breakfast you will leave Piero and the alp Velina and you will descend to the bridge which crosses over the torrent “Val Grande”. After some pictures to the spectacular torrent you will ascend the steep slope with the forest once exploited by the Society of the quarry of the Cathedral of Milan which makes use of it even today. The Society has existed since 1387 and it was founded to extract the marble from the quarry of Candoglia. The steep slope leads you to the alp Corte Bué where you will stop and enjoy your packed lunch in front of the magnificent view of the Monte Pedum in the very protected area of the Park. 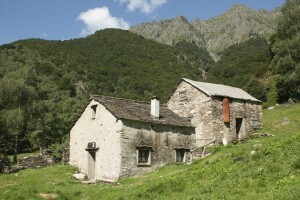 You will have a glance of the ruins of the huts which speak about the history of this alp, where nowadays there are the bivouaks of the Association “Gruppo escursionistico Val Grande”. 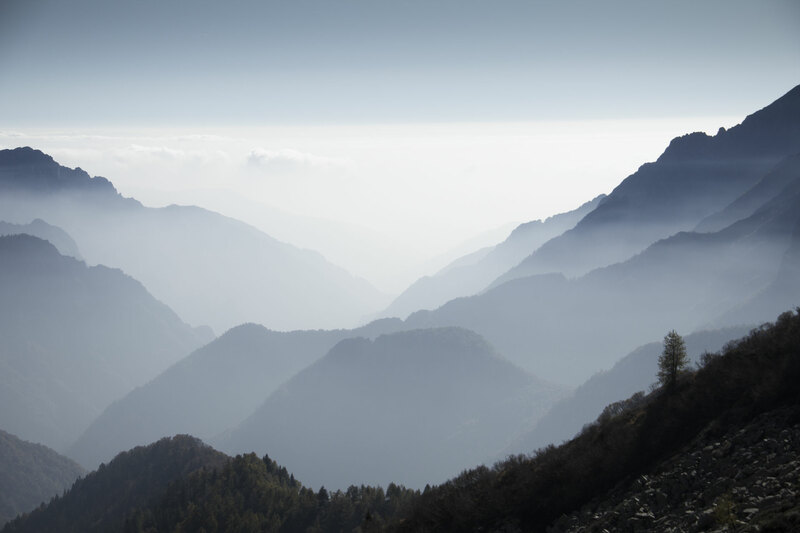 You will continue the hike bordering the north slope of the Pizzo Faié until you will reach the hut of CAI Fantoli situated at the Alpe Ompio. The dinner with local food will be served while admiring the sunset on Lake Maggiore. 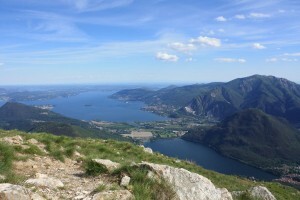 Description: after a coffee with a nice view over Lake Maggiore you will go down to the village of Bracchio through a vegetation of chestnut trees while enjoying some glances over the small lake of Mergozzo. Leaving the wild nature of the Park behind, the lively sounds of the village of Mergozzo, which is one of the most appreciated destinations of lake tourists, remind you of civilization. After a refreshing stop with the possibility of swimming in the waters of the small lake and of enjoying a pizza or sandwich in one of the lively pizzeria / café of the village, you will continue the hike along the “sentiero azzurro” to the railway station of Fondotoce. The arrival is foreseen around 16h00. 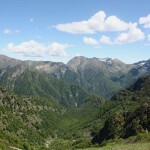 The offer begins with the choice of the transport used to reach the Val Grande National Park; meeting point at the railway station SSIF (Vigezzina Railway) of Domodossola which is linked with the most Italian and European towns and transfer from Malesco by local bus to Finero, all of which make it even more interesting.